The effects of a troubled childhood can last well into adult life, having an impact on relationships, causing insecurity, and presenting a seemingly insurmountable obstacle to happiness. But the brain's ability to change and adapt means there is always hope for clients who are struggling to move on from a painful past. The Overcome a Troubled Childhood Hypnosis Script from The Script Collection was put together to help clients heal painful emotions and develop healthy thought patterns so they can leave unhelpful habits in the past. The pre-talk provides reassurance that it is possible to move on from the emotional pain of a troubled childhood. It offers an explanation for why anxiety and fear can follow us from childhood into adult life and emphasizes the importance of meeting our primal emotional needs. An extended induction helps clients relax deeply, as embedded suggestions create a sense of tranquility. Imagery is used to represent the flow of time and help clients put distance between their current reality and past events. During the trancework, analogy helps clients understand that everyone's upbringing is different, and we can learn something from each situation. A gentle story starts the healing process and the client offers reassurance to their younger self. Embedded suggestions help them find an inner release, as childlike freedom and adult wisdom are integrated into the client's subconscious. Through future pacing, clients break free of negative conditioning and limiting beliefs about themselves. Embedded suggestions encourage them to leave behind those unhelpful habits and to meet their human needs so they can continue to grow towards a positive future. Add the Overcome a Troubled Childhood Hypnosis Script to your script library today! Overcome a Troubled Childhood is also available as an MP3 download. 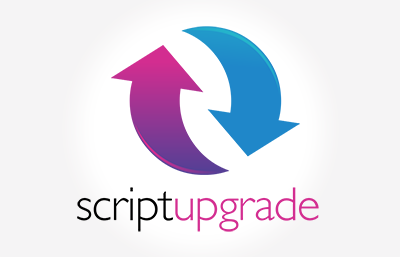 Troubled Childhood Script has been purchased by 270 customers. was upgraded in August, 2016 in line with our continuous quality improvement program.